A cleaner and wax in one: cleans, shines and protects in one application. A high performance cleaner that leaves a protective coating of wax as it dries. 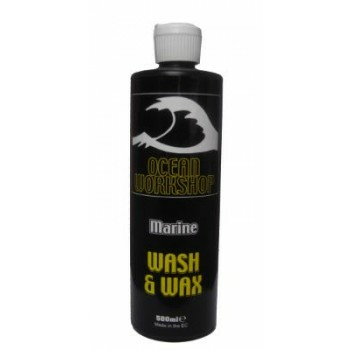 Removes all light and medium soiling and can be rinsed off in fresh or salt water. Concentrated formula for use on fibreglass, metal and painted surfaces. Used regularly it keeps your boat in sparkling condition. Add two capfuls to a bucket of water and apply with a mop or brush, rubbing areas that are particularly dirty. Rinse with fresh or salt water; do not allow to dry before rinsing. Use a squeegee or chamois leather on glass or plastic windows to leave a smear-free finish.